I’ve been thinking about friendship a lot lately. Each individual will have values when it comes to different areas of their life and we will have values in different orders and our decisions will be dictated by these values. Loyalty is important to me in all relationships but it’s not necessarily important to everyone. As a coach I’ve elicited a lot of people’s values and to some people, loyalty wouldn’t even feature in a list of top 10. 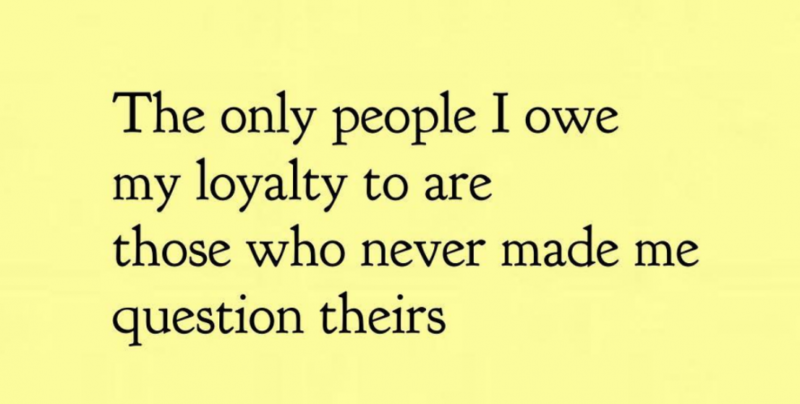 That doesn’t necessarily mean that they aren’t loyal, just that it’s not important to them.